The 2014 LiveRez Partner Conference is in full swing. Yesterday, we kicked off Day 1 of the conference with Director of Partner Success Sharon Clark leading us in the pledge of allegiance and Director of Support and Implementation Tina Upson leading the group in prayer. Then, we were honored to have two special guests for the morning session. Idaho Superintendent of Public Instruction Tom Luna gave the welcome address. 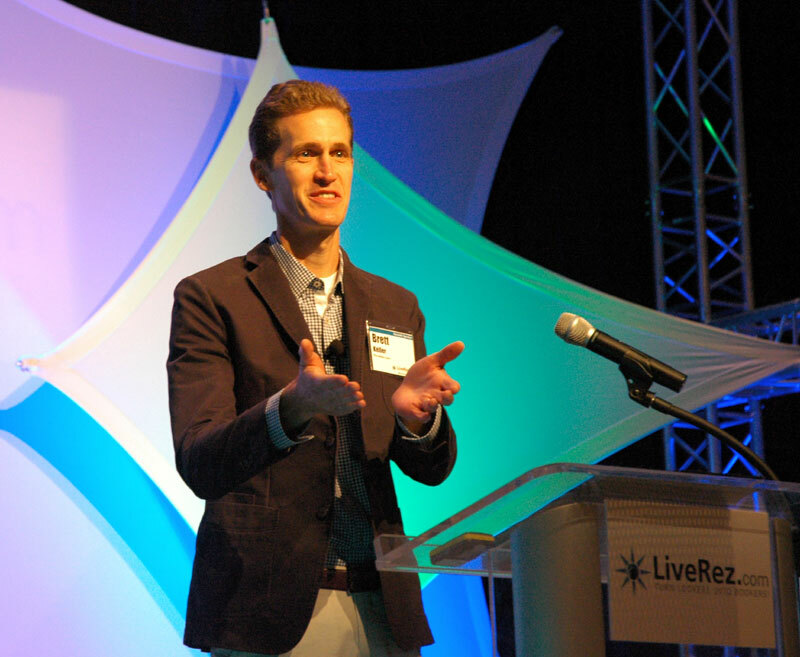 And, Priceline Chief Marketing Officer Brett Keller gave the keynote address and stayed for a special Q/A session. We had a number of great breakout educational sessions, and a series of great round table discussions. The night was capped off with an amazing dinner at the top floor of Idaho's tallest building, the Zions Bank Building. Here are a few photos from Day 1. Make sure to follow us (and the hashtag #LiveRez2014) on Facebook and Twitter for live updates.